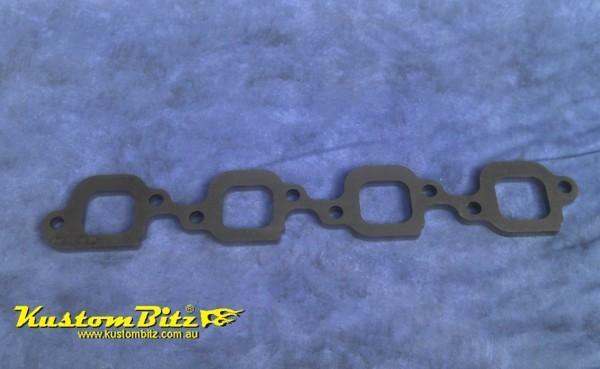 Part# KB-MSP-10-EXT-454-1875 Kustom Bitz header plate to suit a big block Chevrolet V8 engine. Standard small port style heads square ports. for small port heads use 1 7/8" tube and square up and slide through the plate. For large oval port heads use 2" and but up the the header flange face. 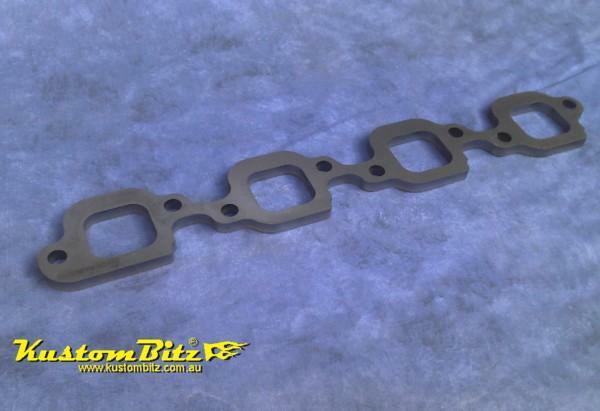 This header plate will clear all accesory holes in the head on the exhaust face.